You see, most people searching for mortgage life insurance have been directed to get just that—mortgage insurance. The problem is, mortgage insurance is kind of a misleading name for a product that pays the Bank and not your family. But before I get into that, let me make an important point. Before we get into the specifics of mortgage life insurance it is important to realize that mortgage protection insurance is not Private Mortgage Insurance (PMI). PMI is required when a home buyer does not have the 20% down payment required by the lender. The PMI is insurance for the lender. If the borrower defaults on the loan the PMI allows the lender to still get paid. You and your family, however, receive nothing. With that said, let’s take a look at mortgage life insurance. Mortgage protection life insurance has three things you need to be aware of: decreasing term, more expensive, and death benefit pays out to the lender, not your family. A decreasing term life insurance policy works like this. Let’s say your home value is $300,000. You take out mortgage life insurance for the same amount—$300,000 lump sum death benefit. Now as the years go by you are slowly paying down the balance on your mortgage. 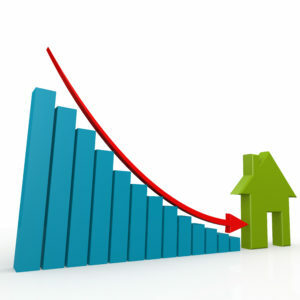 As your mortgage balance drops, so does the death benefit. Your insurance is a decreasing term, which means your polic’s face value is also decreasing. Decreasing Term Insurance Definition: decreasing term insurance it is a term life insurance policy, where the policy’s term would coincide with the term of your mortgage. It has a decreasing face value or decreasing death benefit, which mirrors the amount you owe on your mortgage. Therefore, if your mortgage is down to $50,000, that deceasing term policy you have been paying on for 25 years is only worth $50,000 if you die. Most people buy decreasing term insurance from the lender they get their mortgage from. Other companies, such as State Farm, offer mortgage protection insurance.But the reality is, not many life insurance companies market “decreasing term life insurance” because it lacks curb appeal. After all, who wants to pay on a death benefit that goes down, while your premium stays the same? So, an example of decreasing term insurance would be a home loan for $300,000. The first few years of the policy you don’t see the policy’s face amount go down much because you are paying so much interest up front on your home loan. However, over time you start to chip away at the balance on your mortgage. As you do, your life insurance death benefit begins to dip in relation to your loan balance. And as your pay down on your home loan accelerates since you are applying more of your payment to principal, your death benefit pay out also decreases at an accelerated rate to match. In most situations, you could have bought a 30 year $300,000 level term life insurance policy for the same amount of premium. That term policy would still pay out $300,000, even though your mortgage is down to $50,000. For example, look at the life insurance cost of a 30 year level term insurance policy for a preferred plus male or female. Notice that a 30 year old male can get $250,000 death benefit with a fixed premium for 30 years for $22 and $19 for a female. But ask yourself if you really even need a 30 year term policy? Here are some term life insurance quotes for a 20 year term. Now, contrast that to the price you may have been quoted on your decreasing term life insurance rates. Life insurance mortgage protection from probably the same lender or banking institution you got your loan from is expensive. One reason for the elevated cost is due to the policy having very little underwriting. Very little underwriting means the insurance company knows very little about your health. And when an insurance company knows very little about your health, your premium is going to be high—much higher in fact than similar fully underwritten level term life insurance. You might hear an agent talk about the advantage of a simplified issue life insurance product like mortgage life insurance. It is easy to get, there is little to no underwriting or medical exam, and it goes in force in a very little time. However, there are plenty of other simplified issue term and universal life insurance policies available that require no medical exam. They can be just as easy to get, just as fast, and a whole lot less expensive. And sometimes it is better to choose no exam versus taking an exam for life insurance. Here is the real kicker. Mortgage life insurance does not send the money to your family when they need it most. Instead, the lender (i.e. the Bank) gets the money. Now, if you are the primary bread winner, or a single parent, your family still has to figure out how it is going to come up with income replacement to pay all the other bills you left behind. This often results in your family having to sell the home your insurance just paid off, causing further emotional pain to your family. Level term life insurance offers a fixed death benefit and premium for the life of the policy. In other words, your face amount stays the same. Therefore, your death benefit on $300,000 level term life insurance is still $300,000 no matter what the balance of your mortgage is. Plus, term is going to be a whole lot more affordable. And for those of you who are worried about the term expiring before the mortgage is paid off, 30 year term life insurance can be bought to cover the life of the mortgage. However, often a 20 year term will suffice because in 20 years you will have moved or paid down so much of the mortgage as to not need life insurance. Further, the money you saved buying cheap life insurance for 20 years, as opposed to 30 years, can be used to pay off the mortgage faster by allowing your to apply a larger payment to the principle of your mortgage. And the more principle you pay down, the less interest you will pay, and the faster you will pay down your mortgage. Level term life insurance is way more affordable than mortgage decreasing term life insurance. In fact, depending on what Bank you are being offered your mortgage life insurance from, term life insurance rates may be half the price. Therefore, you can either buy twice as much term life insurance, or pay a much lower premium for level term life insurance mortgage protection. With level term life insurance, when you die your family gets the proceeds, not a Bank. Then your family can use the money for whatever they need the money for. Since interest rates on homes are around 4-4.5% right now, maybe your family opts to pay off high interest rate debt or simply invest the proceeds. Maybe they choose to pay off the mortgage or maybe they move. The point is, with term your family can choose. With mortgage protection insurance, the decision is out of your family’s hands. The bottom line is this: at TermLife2Go we have numerous types of life insurance policies for virtually everyone. Whether you need a simplified issue, no medical exam life insurance policy or a level term life insurance policy, we can get you covered. If you have been given a quote from your lender all you need to do is give us a call and we can compare what we have to what your lender is offering. Then you get to make the final decision on what product is best for you. At TermLife2Go, we’re looking for lifetime customers that will recommend their friends and family to us which is why we place customer satisfaction above all else. Our goal here at TermLife2Go is to get you and your family the best possible life insurance policy available for you. If you enjoyed our article, Decreasing Term Life Insurance vs Level Term Life Insurance, and/or you have additional questions, please leave a comment below. Sounds good, just give us a call and we’ll see what your mother can qualify for.